Normally the day begins with a knock on the cabin door at approx. 6.30 am. Departure on the first dive is at approx. 7.00 am. The second dive is held before lunch at approx. 11.00 am and the third dive approx. 3 to 4 pm. A dive as a rule last from 40 to 50 minutes including the 3 metre safety stop. Normally 3 dives are done daily. If it is however necessary to cover longer distances, one dive may occasionally also be omitted and/or substituted by a night dive. The last dive is 24 hours before your flight, afterwards diving is no longer permitted! Safety is our top priority. An extensive briefing is carried out prior to each dive. Briefings are held in English or German depending upon which dive guides are onboard. 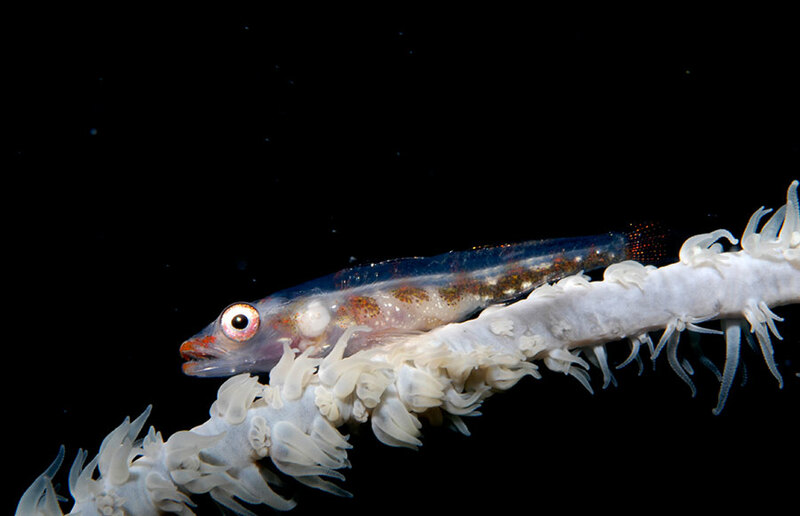 Dive depths and residual air are recorded after the dive. One surface marker buoy is prescribed for each dive. As for cylinders there are 14L DIN/INT. PTGs, as well as sufficient 12 L DIN/Int. PTGs and lead weights available on request! If you need to hire equipment it is absolutely necessary to order it in advance! Onboard the Nautilus Two there is Nitrox at € 14,- per night booked forward or € 5,50 + 12% tax per dive on boat. We offer Nitrox EAN32. The Nitrox packet must be ordered when booking, please click on the link provided for this when making your booking! An emergency kit as well as oxygen and of course life vests are located onboard. 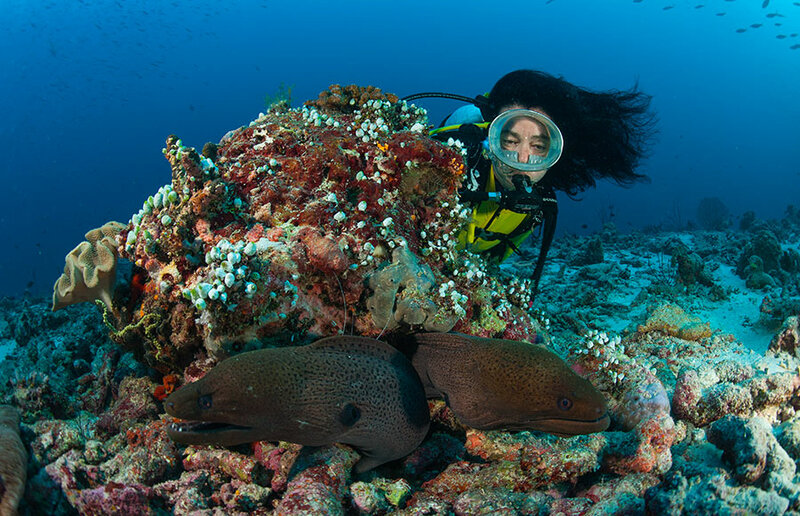 There are two decompression chambers in the Maldives for any diving accidents. 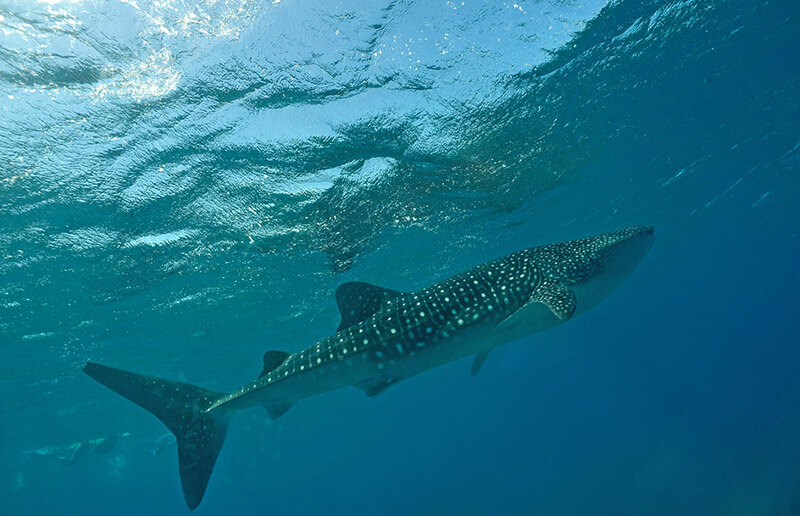 Dive excursions are made with our dive dhoni (Maldivian boat). 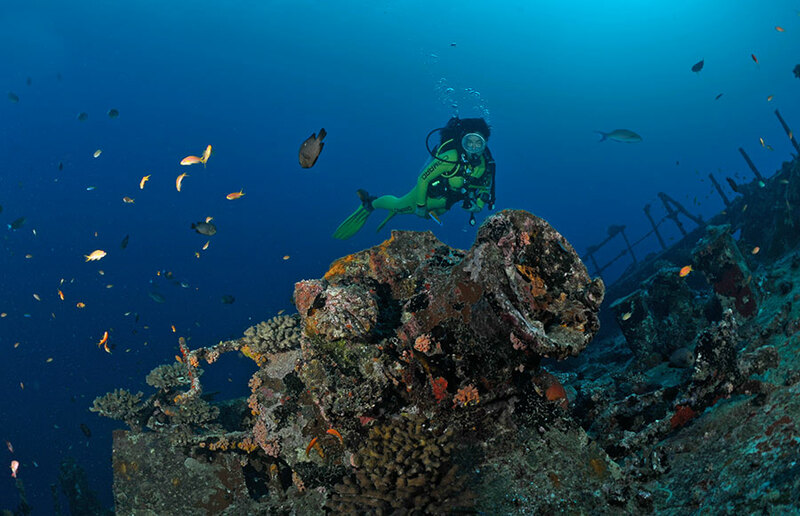 All the diving equipment also remains on this dive dhoni for the duration of your stay. The compressor is aboard the Nautilus Two. The compressor is power driven.. 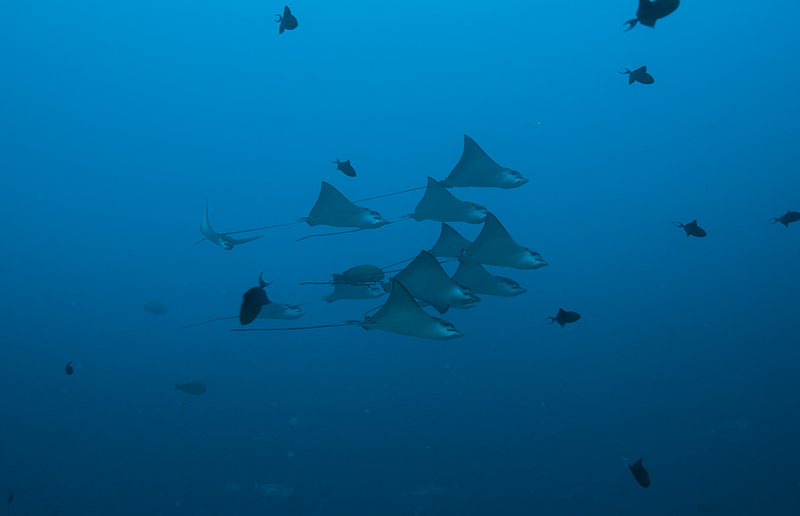 Normally we have a dive guide to accompany the group. We with to expressly point out that the dive guide is not a diving instructor, but a guide who shows you the underwater beauty and also understands current conditions. 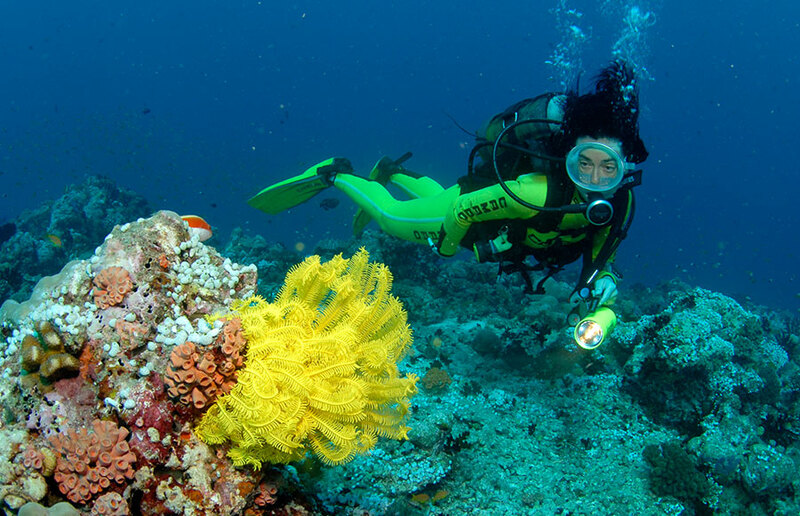 One night dive is planned for every tour, therefore it is advisable to bring diving lamps. 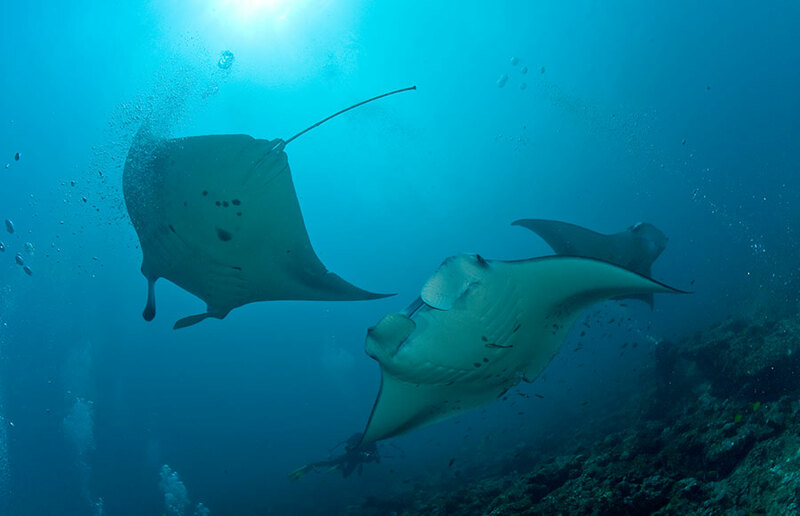 As there are sometimes stronger underwater currents in the Maldives, we require that only experienced divers (minimum 40 dives) can participate in this type of dive. Of course our divers respect the underwater world and neither cause damage to coral nor handle the fish and leave behind no rubbish on the island or in the sea!